The post-workout protein powder shake is a staple of gym bro culture. In fact, almost the moment a man gets into weightlifting, he also starts scouring Bodybuilding.com and Reddit forums for advice on the right protein supplements to take, and in which amounts. He stalks the aisles of his nearest GNC like a stingy dad hunting for grocery store discounts. Their ubiquity is a testament to the idea that a protein shake is a vital ingredient to looking swole. Thing is, most of what amateur weightlifters know about protein supplements (or what they think they know, to be exact) is false. The latest protein-shake myth to be debunked is the idea protein should be taken between meals. According to a new study by researchers at Purdue University, it’s the opposite — the best time to take a protein supplement is during a meal. Otherwise, you’ll have a tendency to put on excess pounds. The biggest lie about protein supplements is that you need to take them at all. For one, the average American diet already includes far too much protein. The idea a person would need to supplement it with 20 more grams of protein a day is bonkers. The notable exceptions are athletes and other people who train at a world-class level. 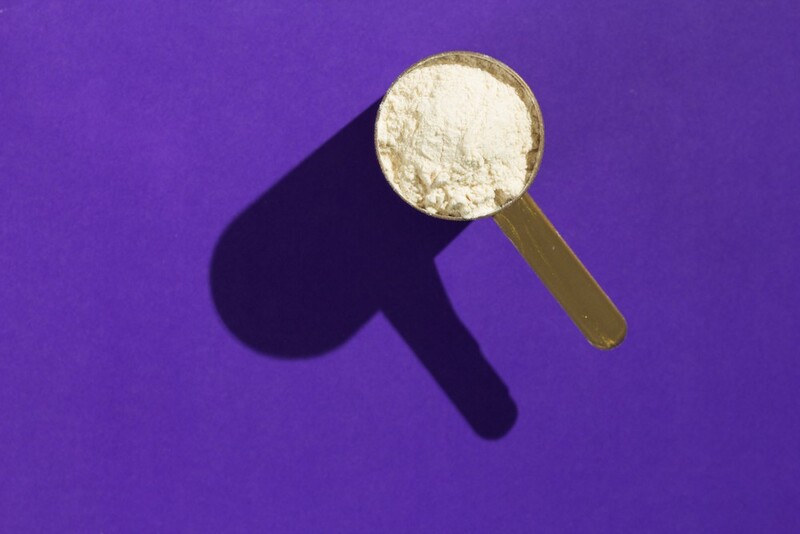 “The past few years there have been some studies that for optimal sports performance, the recommended protein intake isn’t enough,” says David Wiss, an L.A.-based nutritionist and founder of Nutrition in Recovery. Those are world-class athletes training at an elite level, though; not your Average Joe who does 45 minutes of bicep curls after work a few times a week. He decidedly doesn’t need a protein shake a day, says Wiss. If you do crush it at the gym on the reg, you should aim to consume 0.75 grams of protein per kilogram of “lean body mass,” according to Ryan Greene, an L.A.-based osteopathic physician and co-founder of Monarch Athletic Club. That, too, though, should be found in “a pretty well-balanced, Mediterranean style diet. With a lean meat at lunch and dinner, you’re probably getting enough protein per day,” Greene says. I speak from experience when I say protein powders are clumpy and barely edible. Many products try to make their products more palatable with artificial flavoring. Sometimes this means added sugars, which should always be avoided. But even artificial, non-sugar sweeteners can play a harmful trick on your body and convince it to retain more fat, according to Greene. Basically, consuming sweeteners causes your insulin to spike, which in turn causes the body the store more fat. “If there’s any sweetener — sugar or otherwise — your insulin is going to go up. Then, your body is going to cling to whatever energy stores it has, which usually means fat. And that can lead to fat deposition, and thus, weight gain,” Greene says. So that strawberry-flavored whey protein (gag) isn’t doing you any favors when it comes to adding lean mass. So rather than choke down a protein shake the minute you get into the locker room, Greene suggests spacing out your protein consumption into five small meals eaten throughout the day.